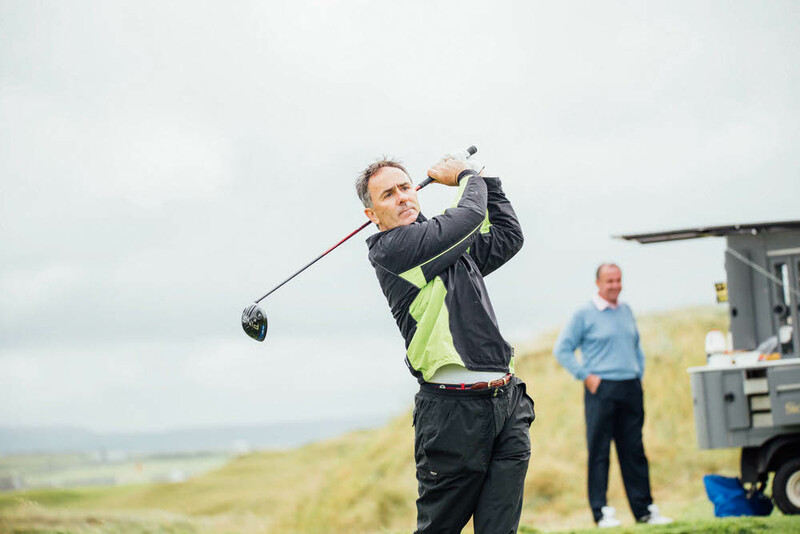 He was a rock for foursomes partner Pádraig Harrington — famously beating Tiger Woods and John Harris together in Great Britain and Ireland's 1995 Walker Cup win at Royal Porthcawl. 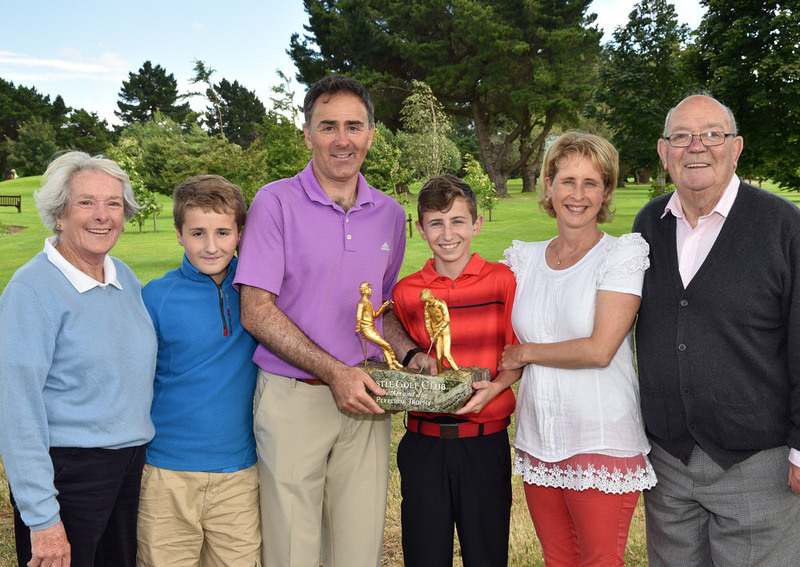 But for all his success, which included Championship wins in the “West” at Enniscrone and the "South" at Harrington's expense, Milltown's Jody Fanagan still sees golf as a game to be enjoyed with friends and family. A bit like the weather – some days I’m good, some days I’m bad. I still like to practise when I get the time. 2 How did you get started in the game? I seem to remember talk of family trips to Laytown and Bettystown in the early days. Little did they know that you would play in the Walker Cup and your little sister, Suzie, the Curtis Cup. My parents, Rhona and Joe, got me started and I copied my mother’s swing. We had so many great summers at Laytown and Bettystown. Juniors were not allowed on the course unless they went to the late Bobby Browne for lessons on course etiquette and the fundamentals of the game. He was a tough taskmaster but it is no coincidence that he coached so many good players. I won my first ever competition there, the Pee-Wee (under 8s) in a play-off but just before the presentation I was told I was a month too old. Devastation! You can see Michael Carney in the picture with the Pee-Wee Cup and me with the consolation prize! My sister Suzie was also there, showing early promise. 3 Choose your weapon — driver or putter? And why? When I could play, I was a good putter and could drive it straight all day. Now I can only drive it straight and my boys just laugh at my putting. Links. There is no formula, you have to go with the terrain. You don’t have to drive it 320 yards on links to be competitive. 5 When were you happiest on the golf course? On the course, the company you keep is important, obviously. Golfwise it is the days when you know you “have it”, no idea why, but just go with it. These are the days when you can take it all in and smell the flowers along the way. 6 Who are your sporting heroes? Gordon Banks, Seve, Drico and now Johnny Sexton. 7 Name an opponent or rival you especially admired. 8 What’s your golfing ambition? Do you have any left? None at the moment. The elusive Captain’s Prize for now. 9 Name your dream fourball. And name the venue. At Augusta National with my wife Alison and sons Hugo (8 handicap) and Harry (7 handicap). My other son Stephen doesn't play but he'd enjoy driving the buggy. 10 What’s been the proudest moment of your career to date? Winning the South of Ireland 1995 in Lahinch. The atmosphere there is second to none. 11 If I gave you a mulligan in your golfing career, what would it be? None to be honest. I think it all evens out. I won a South of Ireland final that I should have lost and lost a final I should have won. In 1989, I had two putts for it from 80 feet at the 20th against Stephen Keenan and lost on the 22nd. Then in 1995, Pádraig was three up after 11 holes, and I managed to win. 12 You’ve played most of the top courses in the UK and Ireland but is there a course you’d still love to play? I'm making my debut in Pebble Beach this October with a few old pals — Robert (celebrating his 60th) Kevin, Beefy, JP, Mick and the two Brophy’s. Can’t wait. 13 What’s your favourite par three? The 15th at Portmarnock. It’s a true test of how good your game is. The green will only hold a good shot. 14 If you could change one thing about yourself, what would it be? Where do I start ...... I possibly could have done with more pace on a rugby pitch. If I'd been quicker, I could have been a player! 15 What’s your most treasured possession, golfing or otherwise? My family and the good memories life has given me along the way. 16 If you could change something about your golf, what would it be? My strength was that I was pretty good with most clubs, and had a good short game. But I think I was too one dimensional - I saw everything as a draw from right to left. It probably simplified the game, but if it broke down, I struggled. 17 Name your top three favourite golfers. Seve will always be my favourite; Tiger was the best, Pádraig is the most interesting. 18 What’s your idea of perfect happiness? An early morning swim in Rosslare or Portugal and that moment when you look up, and you know the ball is tracking into the hole.